For the Israelis the War of Attrition was now becoming serious. It was becoming clear the Egyptians had embarked upon a strategy to gradually erode the Israelis’ military capability. Where that would lead was anyone’s guess. This was not the short game of a swift military campaign. This was the long game. To counter this approach the Israelis needed to move from being reactive to proactive. The shift in emphasis is initially barely discernible but it is significant and tactical air power provides one instrument by which that increased effort is employed. The War of Attrition was to receive little press coverage in the west. In part that can be explained by the rather intermittent nature of the clashes that occurred. In July 1967 in the immediate aftermath of the Six-Day War the Egyptians embarked upon a number of artillery and air-raids against Israeli positions in Sinai. On 14 July in one notable exchange seven Egyptian fighter aircraft were shot down. A period of relative calm then ensued before the Egyptians managed to sink the Israeli destroyer INS Eilat with the cost of forty-seven sailors in October. That provoked a serious reaction from the Israelis with attacks mounted against oil refineries and depots near Suez. All the time the threshold for all-out war was being tested. Another period of low-level military activity then followed before the Israelis unleashed Operation Boxer on 20 July. In this eight-day mini-campaign nearly the entire Israeli Air Force was employed on raids on the northern sector of the Suez Canal. Eight Egyptian aircraft were shot down and over 300 Egyptian soldiers were killed. A month later in August 1969 the Israeli Air Force conducted over 1,000 sorties destroying SAM sites and shooting down twenty-one Egyptian aircraft for the loss of three Israeli jets. On 11 September the Egyptians launched a large package of sixteen aircraft to attack Israeli positions. They lost eight MiGs in air-to-air combat with Israeli Mirage jets and three Su-7 ground-attack aircraft to Israeli anti-aircraft and SAM batteries. In what was a rare air-to-air victory an Egyptian fighter achieved the first combat kill of an Israeli F-4 Phantom in December. Newly-delivered Russian P-15 radar systems, operated and manned by a small detachment of the Red Army operating in Egypt, helped the Egyptian pilot to secure the air-to-air victory. While it was a small event, it was to presage much bigger changes in the balance of power between the two countries as they vied for position along the Suez Canal. Such was the scale of losses suffered by the Egyptians in this period that President Nasser flew secretly to Moscow in January 1970 to appeal for more military aid in what was tantamount to a request for the Red Army to intervene in the confrontation. His initial approach was dismissed out of hand by the Kremlin. At that moment the Soviet bloc did not wish to be drawn into a war with the Americans. After further discussions the Russians reluctantly agreed to deploying ‘observers’ into Egypt. This was to alter the dynamics on the battlefield and lead to a very different security situation. New SAM and radar equipment was also quickly deployed into Egypt. As the new equipment came into service Israeli aircraft routinely conducted operations against the sites where they were housed. In April 1970 a more sinister development was detected as evidence appeared from intercepted radio transmissions that the Russians had now deployed fighter pilots into the conflict. To avoid any danger of escalation Israeli commanders ordered their air force to withdraw from any confrontation if Russian pilots were thought to be flying Egyptian aircraft. These rules of engagement, however, fell apart on 30 July 1970. On that day Israeli and Russian pilots became engaged in a massive dogfight to the west of the Suez Canal. Between twelve and twenty-four MiGs confronted twelve Israeli Mirage III and four F-4 Phantom jets. In a well-executed ambush the Israeli pilots managed to shoot down four of the Russian-piloted MiGs. A fifth was also later reported as missing. Four Soviet pilots died and no Israeli combat losses were recorded. The manner in which Israel accomplished its military goals in the Six-Day War perhaps led to a sense of superiority in the IDF. The War of Attrition also helped enforce a sense of complacency. That was to be rudely shattered in October 1973. The Egyptians and Syrians had learnt their lessons from the Six-Day War. The boot was literally on the other foot. The planning for the attack over the Jewish religious holiday of Yom Kippur had been closely-held with only a very small number of senior officers being aware of the decision to go to war. The military manoeuvres conducted in the build-up to the campaign were given a cover story of being a major exercise. When those exercises quickly turned into a crossing of the Suez Canal under the mobile umbrella of a Russian-supplied Surface-to-Air Missile system the situation dramatically changed. The Egyptians and Syrians achieved total surprise. To reduce the effectiveness of the now-fabled Israeli Air Force the Egyptians moved forward under the cover of a mobile surface-to-air missile shield. These missiles were to shoot down a large number of Israeli ground-attack aircraft. One aircraft that bore the brunt of this was the A-4 Skyhawk. During the Yom Kippur War the IDF lost fifty-three Skyhawks out of total losses of 102 aircraft. By any standards of military attrition this was significant. If those levels had continued the Israeli Air Force would have been destroyed. Within hours, realizing the perilous state that the Israelis were in, the United States mounted a massive strategic airlift to supply new weapons and equipment to their embattled friend. For those observers thinking about a Cold War scenario with a similar surprise attack being launched by the Warsaw Pact into Germany, the events at the start of the Yom Kippur War made sober reading. The outcome of the first few days of the war was to form a major point of study for defence analysts in NATO. Here was a case study that needed to be fully appreciated. The attrition rate initially sustained by the IDF could not have been sustained, had the Americans not intervened. During its service with the IDF the Skyhawk gained an enviable reputation for its manoeuvrability and its ability to keep flying even when it had sustained significant battle damage. Its air-to-air capability was also sometimes underestimated. Its choice as the enemy fighter at Top Gun was not by accident. While the F-5 was to take over that role, the Skyhawks flown by highly-experienced combat pilots gave many United States navy pilots a good test of air-to-air engagements. 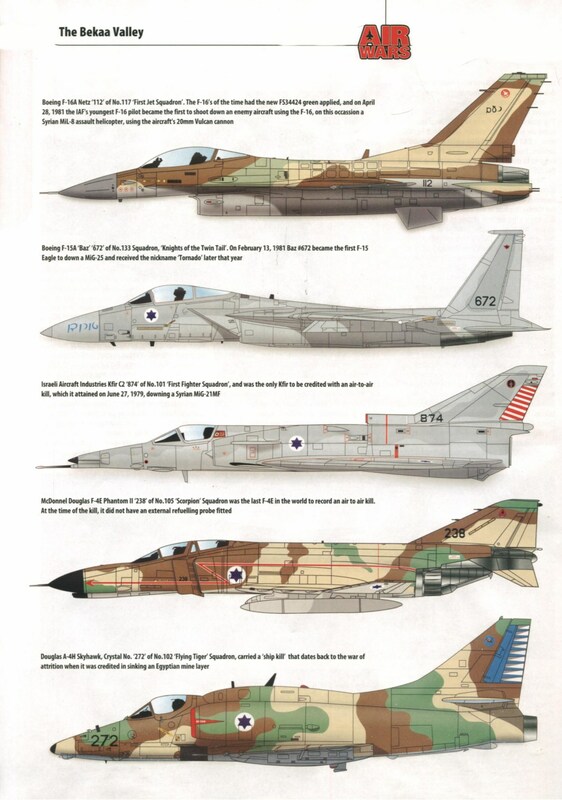 In one engagement in the Yom Kippur War an A-4 managed to shoot down two Egyptian MiG-21s and was about to get into a firing position on a third when an IDF Mirage IIIC intervened and shot the remaining MiG-21 out of the sky. Many of the A-4 Skyhawks that served in the IDF are now part of the Indonesian Air Force. Their longevity in service is a testament to their versatility as warplanes. Since the Yom Kippur War the security landscape in the Middle East has profoundly changed. While Israel’s political ties with Egypt can best be described as strained, the chances of another war erupting are minimal. Despite the clear shift in power that has happened in Egypt in the wake of the Arab Spring, the Egyptians are focused on internal matters. In August 2012 Islamic extremists operating in the Sinai attacked both Israeli and Egyptian outposts in the Sinai Desert. The attacks appeared opportunistic. Whether that was a crude attempt to re-start a war between the two former adversaries is unclear, but the unequivocal reaction of the Egyptian military to the threat sent a positive message to the Israelis. Under its new government Egypt was having no truck with any nomads in the desert who wished to take advantage of a period of uncertainty in the relationship between Israel and Egypt. As Egyptian military forces embarked on operations in the Sinai to locate and destroy the Islamist camps the Israelis cautiously looked on. This was not to be a prelude for another war. The relative stability in the state-on-state relationships that evolved in the wake of the Yom Kippur War were not reflected in what became a more complex security landscape. Israel found itself increasingly dealing with non-state actors. Hamas and Hezbollah were difficult adversaries who had learnt how to fight asymmetrically. On several occasions the IDF has been called into action in Lebanon. Persistent threats from Katyusha rockets falling randomly in northern areas of Israel have resulted in IDF incursions into southern Lebanon. These have had mixed results. In the first of the campaigns the IDF was able to use tactical air power to good effect. The firing-points used by Hezbollah were readily spotted by Israeli ISTAR and air strikes were quickly called. Hezbollah underestimated the Israelis’ ability to find, fix and destroy a target. Hezbollah learnt from this campaign and spent a great deal of time and effort hardening their missile firing-points. The Israelis had again underestimated their opponents. Air power alone was not going to grant the kind of security craved by its population that had to endure almost daily rocket attacks. A ground invasion of southern Lebanon became necessary. While this was initially limited in scope, mission creep set in and the Israeli Air Force was drawn into attacking targets over a wide area of Lebanon. The international outcry that resulted saw the campaign quickly concluded. For the Israelis this was not a satisfactory outcome. For the IDF, used to applying air power in a dominant way over the battlefield to achieve the desired effect, the outcome was a salutary one. It was even suggested by some commentators that this was the first time the IDF had been defeated. The outcome was to cost a number of senior figures in the IDF their reputations and jobs. It was also to set the baseline for a very difficult period in the Middle East. From now on, rather than having to live with fractious state-based neighbours, Israel would have to come to terms with living under the constant threat of attack. The conditions that applied in the War of Attrition had returned, only this time the enemy was elusive and quite prepared to use human shields. Against Hamas, however, Operation Cast Lead was a very different and more difficult situation. This was the first time that contemporary tactical air power had been applied in the full glare of the media in densely-populated areas of the Gaza Strip. Israeli sensitivity to the pictures that would inevitably emerge led them to veto any media presence on the ground in Gaza. Instead foreign journalists were confined to reporting from remote vantage points in Israel. Ironically the pictures of smoke and dust arising from bomb explosions in the centre of Gaza had more impact on the world’s population as they simply instilled images of what was likely to be happening in reality. In Korea tactical air power was also hugely important in trying to counteract the sheer size of the North Korean and Chinese military forces. The images of jets dropping down out of the skies over Vietnam in support of ground troops to deliver a variety of ordnance on the ground is one that remains vivid. Air-to-ground missile systems were used to attack targets alongside a range of what euphemistically may be described as conventional weapons. Fragmentation, napalm and cluster bombs have a quite specific effect on the ground over a large area. In Poland in 1939 the German fragmentation bombs had proven particularly effective against troops on the ground. On one occasion six Polish divisions were literally bombed into surrender by Stuka bombers. Today the use of those weapons has been banned by international law. This is understandable but there may yet be an attempt to reverse this position. As western defence budgets continue their apparent inexorable decline the need to re-visit the use of area weapons may return to address specific military missions. While that is a view on the future, for the moment the emphasis from the employment of area-based weapons to those that are more discrete in their targeting capabilities is clear. Today, as far as the application of air power at the tactical level is concerned, the focus is all about precision. In the Cold War with Europe facing the might of the Warsaw Pact cluster bombs and any other area munitions were seen as a counterweight to the imbalances that existed in conventional forces. Tactical air power was defined by the need for it to destroy as many Warsaw Pact armoured vehicles as possible. These were in close proximity to the Forward Edge of the Battlefield Area (FEBA) and in the areas where second-echelon troops would be assembling. To force a military stalemate the front-line and second-echelon forces had to be attacked by tactical air power. This was the best NATO could hope for at the time. Through the employment of tactical air power any incursion into Western Europe would be halted in its tracks. On paper that sounded like a sensible strategy, but the stark reality was that conventionally-armed tactical air power was the last line of escalation before the nuclear option. If conventional tactical air could not blunt the attack then small nuclear warheads would be selectively employed to disrupt the advance of the Warsaw Pact forces.